Who works on a project? Project Manager is a contact person who organizes cooperation with a client in all questions connected with the project. He also coordinates the work of translators, proofreaders, editors, technical experts, and quality control team. The project manager has all necessary skills and understands all technical and cultural questions connected with translation/localization of your material. The project manager is responsible for the prompt completion of the project within the budget. The manager reports to you on the project progress on a regular basis. Our translators and editors are native speakers and have appropriate education and qualification. 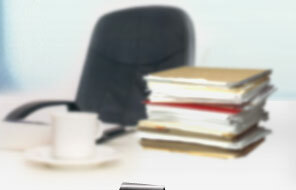 We ensure that the translators working on your project have required experience in your sphere of business. This ensures use of correct terminology and intercultural adaptation. Each technical specialist in our team is an expert in his or her area. They are selected according to strict criteria and pass tests to confirm their qualification. Graphic specialists process images and visuals included in the material to be translated. Their responsibilities include editing and creating new images on the base of previous ones.